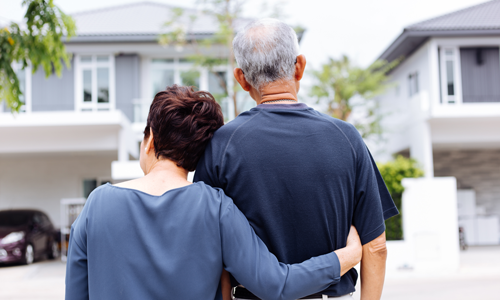 More senior citizens around the U.S. are choosing to age in place rather than sell their homes and move to a retirement community, and those decisions could be adversely affecting millennial homebuyers. A new study by Freddie Mac economists posits that some 1.6 million homes are currently being held off market that would otherwise be for sale if not for this trend. Specifically, the study points to a much higher and more stable homeownership rate for Americans born between 1931 and 1941 compared to the historical rates seen in previous generations of seniors. Researchers expect this trend to intensify over time, adversely impacting the purchasing power of younger homebuyers. Is ARM growth cause for alarm? While adjustable-rate mortgages make up a small slice of the current lending market, the average balance on this type of loan has ballooned in recent years. Based on data from the Mortgage Bankers Association, Marketwatch reported the average ARM value as of January was more than $688,000. For comparison, the typical fixed-rate mortgage, which accounts for the majority of the U.S. home lending market, was worth about $281,000. Mortgage market experts said the increase in average ARM values could be the result of new homebuyers taking on too much debt. However, ARMs make up a much smaller portion of the overall market today than they did just before the housing crisis, which was fueled to a degree by the proliferation of this particular loan product. In an appearance at Mississippi Valley State University in Itta Bena, Mississippi, Federal Reserve Chairman Jerome Powell reiterated his belief that the U.S. economy was strong overall. However, in a question-and-answer session with students, Powell conceded that the last decade of economic expansion had left some Americans behind, particularly in rural areas and among minority communities. To rectify these persistent issues, Powell said the Fed was working to strengthen the Community Reinvestment Act so that banks could step up lending in lower income areas. Still, the Fed chairman clarified that the central bank did not see strong signs of a coming economic downturn. The number of mortgages considered behind on payments or in the process of foreclosure dropped in November to the lowest level in at least 18 years. According to CoreLogic’s latest Loan Performance Insights Report, 4.1 percent of outstanding home loans in the U.S. were in some stage of delinquency, meaning borrowers were at least 30 days behind on payments or in foreclosure. This represented a 5.2 percent decline from Nov. 2017, and is near the lowest overall delinquency rate recorded since CoreLogic began tracking the figure in 2000. This shows homeowners are benefitting from a strong economy and facing fewer issues as they pay off debt. In a survey of 4,780 residential remodeling businesses throughout the U.S. released by Houzz, a positive outlook on prospects prevailed despite some headwinds. Between 58 percent and 80 percent of those surveyed across seven sectors of the remodeling industry said they anticipated a “good” or “very good” year on the horizon. However, relatively few respondents expected overall economic conditions to improve compared to 2018, and five of the seven sectors reported slower revenue growth in the last year. Rising labor and materials costs were cited as a primary obstacle to profitability heading into the next 12 months.